The real meaning of life is to live it, to enjoy the experience to the utmost, eagerness to find new path without fear for newer and richer experience. People may say you as crazy or insane but live a life that you want to. The real adventure is to live the life of your dreams. Don’t settle down in one place and waste your time. Move around, involve in adventurous activities, make each day a new horizon. Take the opportunity to revolutionize your life and move into an entirely new realm of experience. 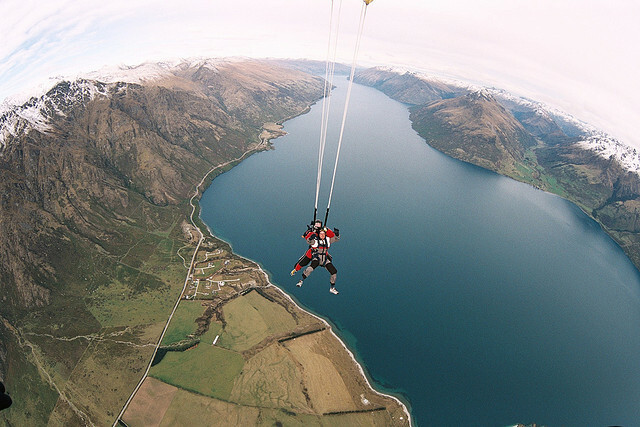 Let us see few adventurous activities across the World that could blow your mind off. Have you ever thought of jumping out of a flight from 10000 feet height or more than that?!! That’s named as Sky diving. Don’t worry; a well-trained professional will fall off the flight with you. For safety landing they will operate parachute. When you first jump out of the plane, you get that falling feel for a while, and the rest of the 45-second freefall is absolute ecstasy. Skydiving is about the closest you can get to flying. And the trip down after the chute opens is pretty fun as well. One could never forget this experience and the views in their life time. 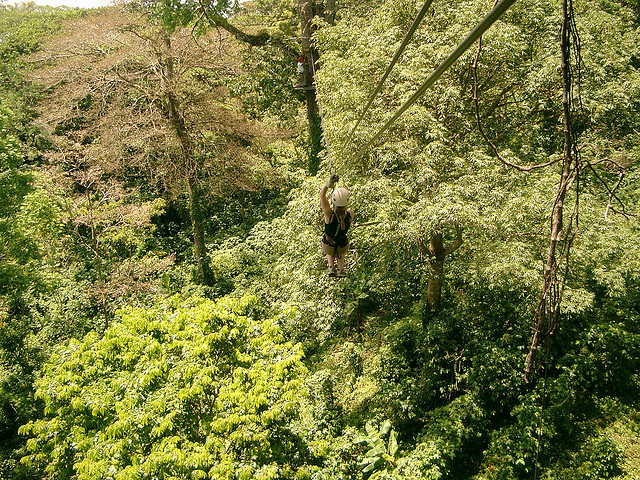 The concept of Zip-lining which is one of the adventurous thriller rides was originated out of necessity. It is a simple pulley suspended on a cable mounted on an incline which was initially used as ease mode of transport. Nowadays professional zip-lining adventure tours can be found worldwide. Icy-straight point in Hoonah is the World’s largest zip-line which runs more than a mile, with a 1300 foot vertical drop over a 90 second ride. It features a amazing views of Hoonah’s tree-covered mountains and oceans below. One of the interesting and thrilling river sports Rafting requires you to navigate a river, usually comprising of rapids and steep bends, atop a rubber boat. Dealing with risk and the need of team is most important part of Rafting. All the rafters will have paddles to route the raft through the water. 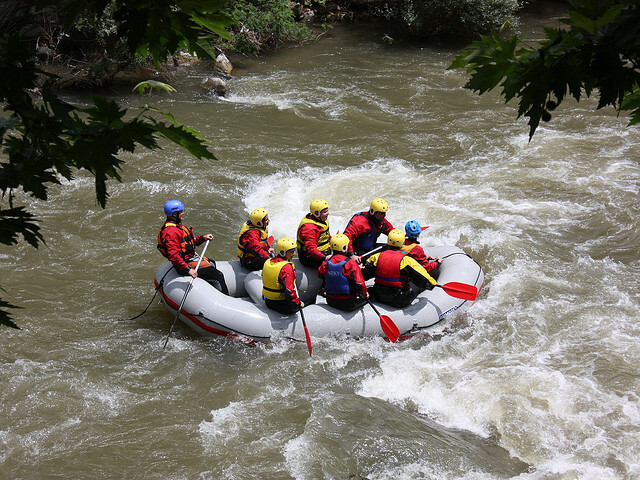 When done with safety, Rafting is great fun and fantastic way to communicate with the nature. Free solo climbing is considered as most dangerous since climbers won’t use any safety equipment of any sort. That includes harness, rope or any other protective gear. For re-creational purpose it is being done 20-30 feet which might cause severe injury. Some will climb above hundreds and even thousands of feet up the side of the wall. Dan Osman is the person who climbed above thousands of feet as solo climber. 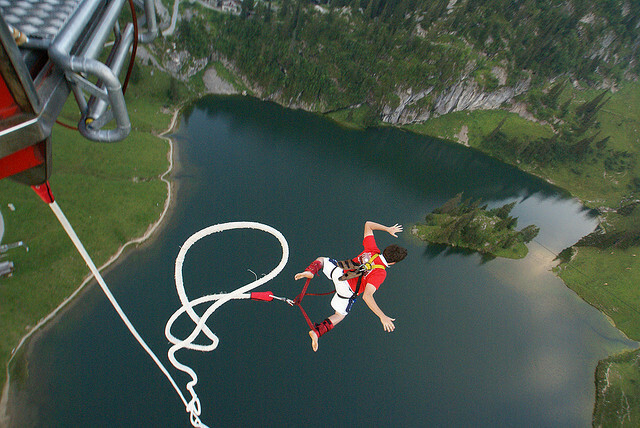 Bungee jumping is a recreational activity that involves jumping from a high surface while tied to an elastic cord. One of the elastic cord end will be attached to the jumper’s body and the other end is attached to the stationary object at the jumping point. The elastic cord used in this is designed to stretch during the jumper’s fall and back up repeatedly. This causes the jumper to bounce up and down over the length of the jumping area until the energy from the jump has been depleted.